It's more fun in the Philippines--NOT ALL THE TIME! You are probably thinking of retiring here and wondering where to live. You've probably been here dozens of times and stayed for a month or two each time. Do you feel safe? Visiting is different from actually living here. As a tourist, your activities are limited and your knowledge of the area only revolves around what you actually experienced during your stay. Zamboanga city is the 9th most dangerous city in the world according to the website www.destinationtips.com. After a series of abductions by terrorist groups, Zamboanga is regarded as the most dangerous place in the Philippines for locals and foreigners alike. Victim of kidnappings varies from foreign tourists, town Mayor, public school teachers, and etc. Just like Zamboanga, Cotabato is also considered extremely dangerous. From bombings to kidnappings, you wouldn't want to visit there. In 2013, a car bombing occurred in Cotabato city, killing 8 people and wounding 40 others. If you want to keep your head up (literally), don't go to Basilan. Aside from kidnappings and bombings, Basilan is also known for the 2007 beheading of 11 members of the Philippine Marines. Just last May, there was a twin explosion near a Mosque that injured at least 18 people. Davao city may be one of the safest places in the Philippines but its neighboring towns aren't as safe as you'd think. On May 2001, Abu Sayaff members attacked Pearl Farm and killed two employees. Just last September 21, two Canadian nationals, a Norwegian, and a Filipina were kidnapped from a fancy beach resort in Samal Island. We all know Manila is dangerous but compared to those places in Mindanao, it's actually safer. Opportunistic crimes here are common but easily avoidable if you take proper precautions. Known for its nightlife, male tourists flock here to have a good time. There has been a series of crimes against foreigners in this city ranging from robbery, carnapping, assault, and murder. Personally, I don't think this place is an ideal place to retire if you are a foreigner (particularly white) since the crime rate is increasing each year. Do not live in a secluded area. If you are white, you will be a target no matter where you live. Living in a secluded area makes it easier for criminals to rob your home as there will be no neighbors to help you. Live in a secured guarded village or condominium. For me, condominiums are much safer. Do not hire maids (if you can). Most crimes committed in a household here are by maids or their boyfriends as a way to "get rich quick". Even locals here are wary of hiring maids because of the increasing crime committed by them. Do not tell anyone about your finances (even your girlfriend). Do not post too much information about yourself in the Social Media (for obvious reasons). Keep your doors locked at all times and do not open your door when somebody you don't know knocks especially at night. A foreign retiree was stabbed in the stomach when he opened the door to check who was outside. Do not join a drinking party with locals (unless they were your trusted friends). Secure your bedroom door with a good deadbolt lock and keep it locked at night. Do not walk in dark alleys. Avoid going out late at night. Only withdraw money from ATMs inside malls. Do not be too friendly with locals. You are always seen as the "rich one" and some will attempt to borrow money from you. If you decide not to lend them money, they will hate you for it and you can be a target for crime. Avoid dating younger women as you can be a victim of extortion. There are syndicates who use underage girls as baits. These girls will pretend to be of legal age and lure unsuspecting foreign men. Not sure if "taking precautions" apply in certain places in Mindanao like Basilan, Jolo, etc. If you are a foreigner, you become an instant target as soon as you get out of the airport. I'd say, your comment applies more in parts of Luzon, Visayas and maybe the northern part of Mindanao. how about leyte? I am traveling for the holiday.I want to know if its a safe place. So what area do you live in Pinay? I see you survived"
While I like your tips they apply anywhere and are actually just common sense. Some of them are extreme though and I guess it depends where you live. Your tips...LOL make it sound like everyone is out to get Whitey. That is hardly the case and most Filipinos are good honest people. Thanks for visiting my blog! Yes my tips apply anywhere in the world and people who practice common sense should be able to know what to do when visiting a foreign country. Some tips I provided maybe extreme but it really depends on where you live. Of course not everyone is out to get white people here in the Philippines and that most Filipinos are good and honest. Like what you said, it's just common sense. If you are a foreigner living in an area where people earn so little, it automatically makes you "rich" in their eyes (even if you are just getting $1,000/mo. pension) and you could become a target of desperate people in need. But if you are living in a gated subdivision where residents are mostly middle class, then you are more likely to blend in. I know right? It's a shame that Basilan, Jolo, Samal, etc. are dangerous for tourists! I would love to explore their mountains and beaches if only its safe. I have to agree with much of what you write and that common sense plays an important role in individual safety. Although I can travel freely where I live in Samar, this doesn't mean that I'm not noticed. One should never be a creature of habit or be predictable. We drive a car and I drive a motorcycle and we always alter our routes and parking places. If you're going to "hang-out," it should be done with good friends, never alone. Stay off the streets during late nights and do not get involved with drinking or gambling. Hiking should only be done in safe areas with known and reputable tour guides. I thoroughly enjoy living here but I live with precaution daily. Always be aware. been to phils 10 times, mostly in manila and outside area. never had a problem. angeles? never had a problem. lived in malolos off and on for years...never had a problem. unless bribing police for not getting a ticket counts? Good for you! It really depends on the area you go to, people you encounter, and etc. I was at Paradise Island, a beach resort on Samal Island on 9/20. I learned that the ISIS rebels kidnapped four 13 kilometers north of where I visited. I will NEVER set foot in the Philippines again! Wow that was close! You got lucky! Yeah if you really have no business here, there really is no point in visiting and risking your safety. There are lots of nice beaches in other places and are much safer. But as a Filipina, Philippines will always be home to me. Even when I migrate abroad, I'd always come back and visit. 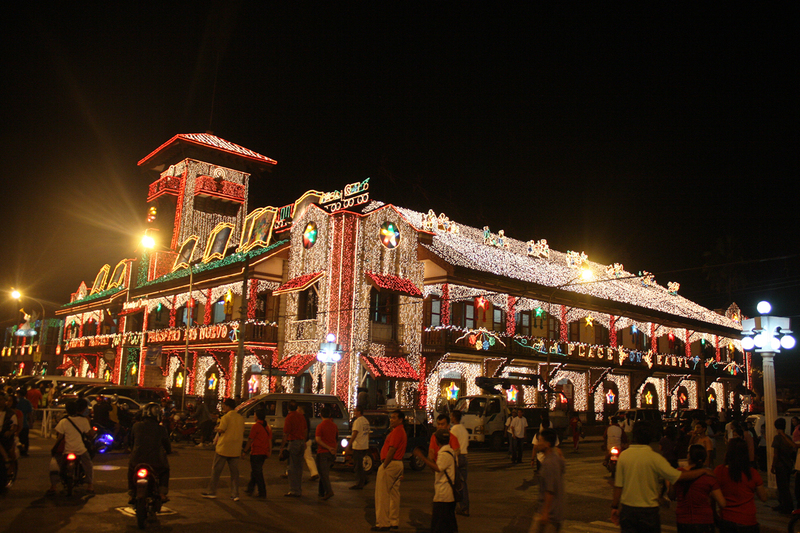 I've lived in Quezon and been in Mandaue, Cebu. Never had a problem. Although I'm married to a Filipina. Most Filipinos are very friendly, but if you do know someone in the community, you will usually be accepted with little or no reservations, or deciept. What about Manila Airport as being one of the most dangerous places in the Philippines, where you can be scammed by criminals who are the security officials who operate the security requirements of the building? Dont believe me? Check out laglag bala on Google. The planting of munitions in passengers bags and then asking for a fine in a quiet room or a detention or prison sentence will follow. It is not confined to munitions either, they have also been known to plant drugs, which has led to severe prison sentences for "offenders" who would nt pay, of course. I was challenged at Manila airport and questioned by a uniformed individual as to whether I was carrying in excess of $10,000 in currency. What a load of BS. He saw from my demeanour that I was a serious individual and waved me on. He was right. By the layout of that airport, that security guard checking if you had a travel document before you enter and that baggage scanning machine always struck me as a place for a perfect scam operation, coupled with the atmosphere, where all travelers are viewed with suspicion and as an opportunity to make some easy money by the staff.always made me feel uncomfortable. I know from the body language, from the way they act around me, a foreigner. I was a criminal lawyer for many years in my own country and can spot a crook at 50 paces. Now I know I was right. Couple that with the PNP Philippines ordinary police of which about 80% are corrupt where a foreigner is concerned. You are on your own. The best chance is that you an have some very good Filipino friends who might take care of you but are slow to advise you as to the reality of the corruption and danger out of embarrassment. My girlfriend is from that area and i am going to visit her in December to meet her family, she lives in that area, there is truly no tourist activity in her area...i am American. She is not worried about anything but i read your post and am curious to your kind advice. What would be your advice for the area of Batangas city and south batangas area around lobo? Batangas is a somewhat peaceful province. There are occassional robberies, break-ins just like any other places around the world. You should be more worried about people around you ~ relatives/neighbors/friends. Avoid any conversation about your finances coz a typical Filipino sees a white guy as rich. They might try to borrow money from you and if you say no, they will be offended. I'm coming to the Philippines in late October for the first time, I'm going to meet my gf and we are g to get married in November, I want to retire there, I have legal medications that I have to take everyday, from my heart condition to the pain I have to live with everyday, I was told that if everything was in legal containers and I have a letter from my doctor explaining why I need these medicines that everything would be ok, I'm still very nervous about it could anyone give me any information about bringing medicines to the Philippines? I don't know what to say. Things aren't looking so good here right now. Just be careful. Take care and always be on your guard. Surround yourself with good people. Before you decide to marry and retire here, make sure you know what you are getting into. Ask yourself, will I really be better off living in the Philippines than my own country? Make a list of pros and cons. You have to consider healthcare, safety, and etc. Do not rush yourself. You might realize you are way better off living in your country than here. 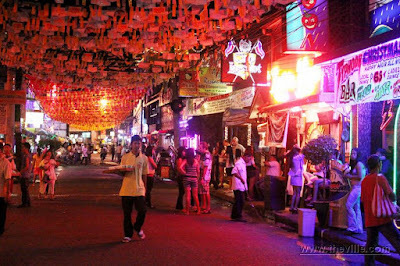 Hello, I came across this blog when doing research for a planned upcoming trip to the Philippines. I was planning on visiting my girlfriend and her family in General Santos City in November, but my family is extremely against it due to the travel warnings affecting Mindanao. From what I have read (including your post here), and from what my girlfriend has told me, the main danger is mostly in the ARMM, the Sulu Archipelago, and Cotabato. How are places farther east, like GenSan? Does knowing someone there help my cause as a white American? Thank you in advance for your comments and advice. Don't go there..it's for your own safety. Heck I'd even say stay away from the Philippines for now. But if you really need to, you should just stick to Metro Manila. Our president's crazy antics are making his blind followers anti-American. I doesn't matter if you are Canadian, British, etc. As long as you are white, expect some kind of hostility from uneducated retards who thinks that Americans should leave our country. That's really heartbreaking to hear. I was hoping to visit some friends in Cebu too. It's really unfortunate because I was sincerely hoping to see your beautiful country and meet what I've heard are some of the friendliest people in the world. If I do decide to go, are there any precautions I should take? Thank you so much. Stay away from druggies, don't look like a druggie, and be careful who you befriend. Don't go out at night etc. But I still think the best thing to do is not to come to the Philippines. If you need to meet your gf, meet her in Thailand or Malaysia or anywhere but here. I see your warnings are mostly inclusive of "white people." What about black people? Black Americans? I am a black american and I want to visit the Metro Manila/Makati area. Should I stay away from the Philippines too? Whenever I visit the Philippines, I will see one black person or two the most, in three weeks. Yes, blacks will be singled out too. 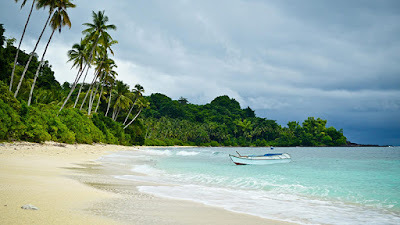 What about borocay island i planned to visit there. Dangers of the Philippines are grossly exagerrated. There are lots of white students from Europe, Canada and the USA studying in General Santos. And Davao is considered as one of the safest cities of the world. You are definitely more endangered in New Orleans or St. Louis. Use common sens in the Philippines - don't get drunk, never, ever use drugs, be polite, keep low profile, even if you are a 6'3" tall white American, like I am. Tell locals you are not rich, but rather poor, that you like their country because there you can afford a decent living, unlike in America, where everything was too expensive for you. It would be nice to meet the gf outside of the Philippines, but the border police at the airports of departure (Manila and Cebu) tend to hold people back from travelling. It has happened to me several times. I was even travelling with my gf from cebu to Singapore last year, and the immigration female stupid officer did not let her go, she never asked me a question even. So now I am back in Mindanao being with my new gf. So far so good, and I have been coming to the Philippines for many years, never felt any threats except for in Manila. I have lived in Thailand for several years, but knowing locals there is very hard due to language barriers and cultural/religous differences. In the Philippines you will at least feel more welcome and people here speak English more or less every where. I enjoy staying in the province, but of course one may be safer in a condo. But then, better stay in my own country Norway, if I must stay indoors. 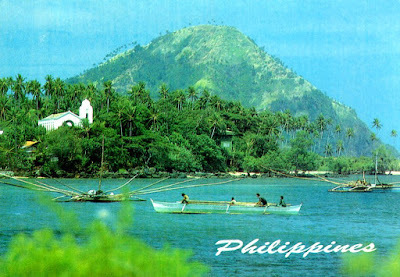 The point of coming to the Philippines and staying here for longer periods, is to enjoy, nature and the people. Duterte may be crazy, but I tend to like most of what he is doing so far. He should not kill drug addicts of course, but otherwise he might be able to deal with some of the corruption, and also terrorists. The Philippines is an EXTREMELY dangerous place, in so very many ways. Want to read the truth?